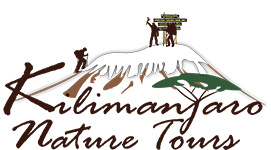 The Machame route is regarded as the best route to climb Mount Kilimanjaro by. Starting in the jungle, you climb through the forest on Kili’s south western slopes, spend a day on the Shira Plateau, get to see the Lava Tower and Barranco Valley, as well as having the option of summiting from Barafu Camp or the Western Breach, camping in the crater. This route also offers great views of Mawenzi. Another advantage of climbing the Machame Route is that you descend on the Mweka Route, meaning you get to see another section of Mount Kilimanjaro on the way down. Our Machame Route climb lasts 7 days, including an acclimatization day in the Keranga Valley before your summit push. This gives you 2 short 4-hour days before the summit bid. Our Machame Route itinerary can be extended to 8 or even 9 days should you wish to do some extra exploring. On day 2 the Machame Route skirts the spectacular Shira Plateau and an extra day can be added here letting you explore the plateau and visit the giant lava towers of the Shira Cathedral. The Shira Plateau used to be a massive crater before an eruption caused the volcano to collapse leaving some great scenery. Those climbing the Machame Route and summiting via the Western Breach spend more time on the plateau for acclimatization. 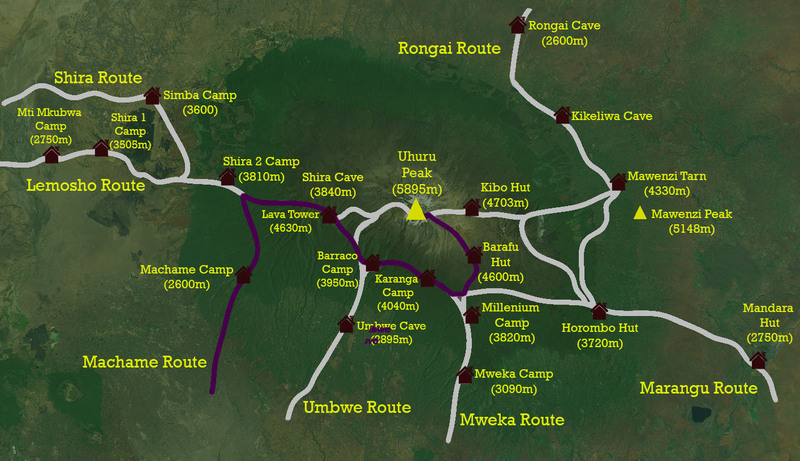 Those climbing the standard summit route from Barafu Camp climb east from the plateau, merging with the Shira Route, Lemosho Route and the Umbwe Route on the Southern Circuit. The Machame Route can be tough in places but with a good success rate, it is without a doubt on of the best ways to climb Mount Kilimanjaro.